Mothering is a full-time job, there’s no question about it. They help you grow, they educate you, and they love you unconditionally without asking for anything in return. Mother’s Day is the perfect opportunity to show them just how much they mean to you and how much you appreciate everything they’ve done. If you ask us, there’s no show of love quite as thoughtful as a delicious home cooked meal. So sit back, have a read, and plan that Mother’s Day brunch that will leave them smiling from cheek to cheek. Set up everything the night before – You don’t want to be in a mad rush to do this the following morning, trust us! Plan your menu – Don’t wait until the last minute to plan your meal. That said, if you’re reading this post you’re already ahead of the game! If you can cook it ahead of time, do it! – If you have anything on your menu that can be prepared ahead of time, do so. This can be bloody mary mixes, mimosas, sausages, and so forth. Offer a mix of sweet and savory – That’s the magic of brunch, after all! A nice balanced meal will leave everybody satisfied. You can’t go wrong with fresh breads and/or scones – I mean… what’s brunch without delicious breads? 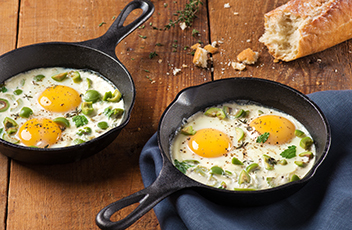 A brunch would be nothing without food, so feast your eyes on these recipes guaranteed to really impress mom! Delicious paired with any of these recipes along with Smoked Salmon with Dilled Crème Fraiche on Bagels, Frittata with Roasted Red Peppers and Sun-Dried Tomatoes, Ricotta Cheese & Meyer Lemon Blintzes, etc. Your favorite Bloody Mary Garnishes (i.e. bacon, shrimp, cocktail onions, celery, pickles, etc) with a variety of your favorite Jeff’s Naturals ingredients such as Jalapeno Stuffed Olives, Hot Cherry Peppers, or Whole Golden Greek Peperoncini. Stir together Bloody Mary mix and vodka. Add a few dashes of hot sauce, squeeze of lemon, and a splash of Jeff’s Naturals Olive or Pepper brine. 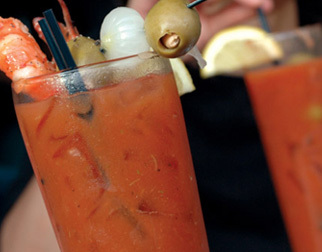 Garnish with your favorite Bloody Mary ingredients including Jeff’s Naturals Olives and Peppers. Finish with a dash of pepper and enjoy! 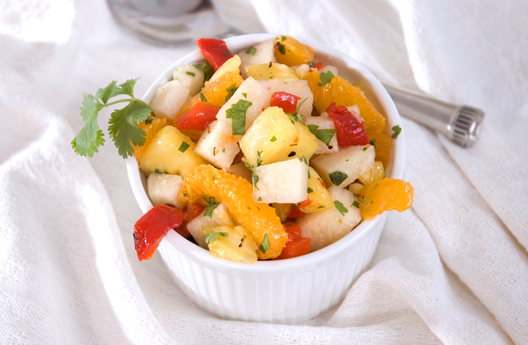 Combine all ingredients except coconut in a large bowl and toss well to mix. Top with coconut just before serving. Makes about 4 servings. If adding pancetta to your sandwich, place pancetta slices in panini press and cook about 3 minutes or until crispy. Remove from press and set aside. To assemble the paninis, add a tablespoon of pesto on the top inside slice of each sandwich. Add the eggs to the bottom slice of bread. 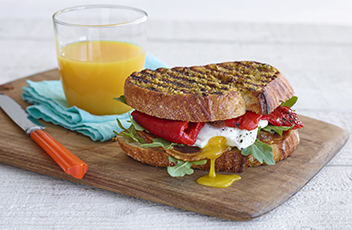 Top the egg with arugula, pancetta, and a layer of roasted red pepper. Top the sandwich with the pesto bread slice and place into the panini press for about 5 minutes or until slightly crispy and golden.